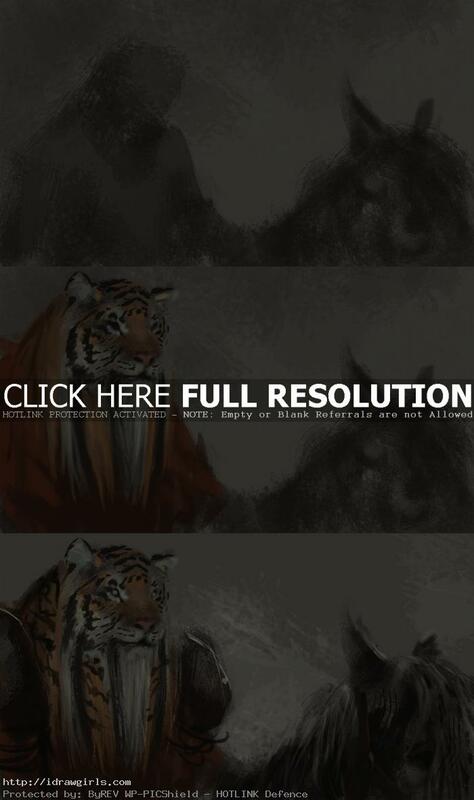 Rakshasa concept art tutorial. 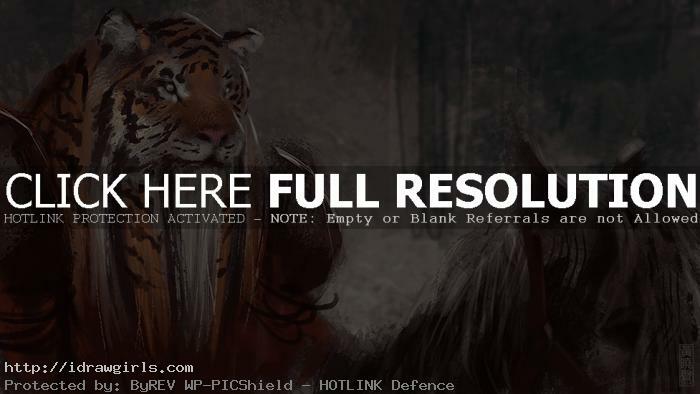 Rakshasa is a humanoid creature, half man and half tiger. Here is another quick step by step from one of my daily speedpainting, Rakshasa. This one is from the topic of my daily spitpaint group, “beautiful beard.” This painting takes about thirty minutes to finish. I was thinking what if a tiger has long beautiful beard. But then I have a better idea of making him a humanoid concept art riding on a horseback. I am thinking, I should develop this idea further. It is a quick conceptual design, not a finished illustration by any means but most illustration can start off this way. Only you will have to spend a lot more time and skill to refine and take it to finish. If you are not used to getting a quick idea, you can start off with just shapes and any kind of familiar creature or animal in mind. Then go from there and let your imagination leads the way.